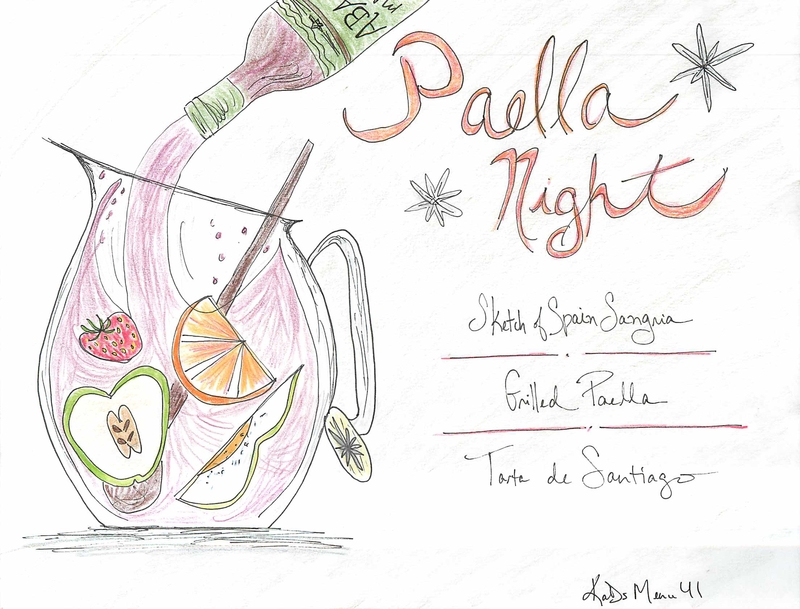 Menu 41 – Spanish Night! Last week got away from me – no menu. This happens. Dinner making becomes dinner ordering. Totally unsatisfying. Let’s come back from a non-cooking week strong with a menu that takes you on a vacation – to Spain! And outside – to your grill! Yes this week we are grilling paella. My mother is coming to visit this weekend, and in general, she hates a fuss. I can respect that, so we are keeping things relatively easy and making three things only – including the cocktail! A beautiful sangria (click!) to start things off. She is always worrying that people will ruin their appetites with starters so we’re going right for the big game tonight – get grilling and cook a lot of paella. I’ve included a simple recipe below. The beauty of this is that cooking on the grill reduces your clean up needs in the kitchen…simple…win! And to finish, after you’ve had your fill of crab and squid, indulge in this lovely citrus almond cake. Might want to make a lot of the sangria – I bet it goes well with the cake. It’s Spring Break season here in NYC – so some people (not us) got away for vacation. Even if I’m not on vacation, I like thinking about it. Dare to dream. One of the best things about taking a vacation is coming home. Isn’t that a beautiful thing? Back to your own bed, all of your clothes, your familiar surroundings. And cooking. Back to your own cooking. I love eating out but every night gets to be a bit much. 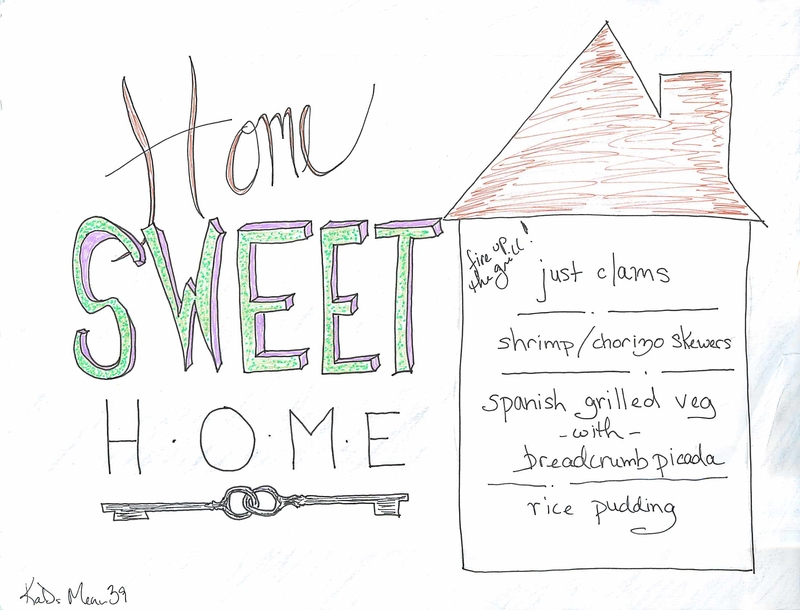 On those nights when we return home, we’re often excited to eat our own cooking. But not with a lot of effort. There’s unpacking to do and people are tired. So you need an easy and highly satisfying menu to cook on the night you get home from a vacation. Grill to the rescue! So many benefits to grilling – the great outdoors, no kitchen mess, my husband does it. Everyone wins. But wait! Are we going standard burger and hot dogs? Not tonight, we’re not! We’re going seafood and making a few things that are super tasty on their own with no work. Grilled clams to start. That’s it. Everyone forgets about grilling littleneck clams but it’s the easiest thing in the world and SO satisfying. Next, break out that package of skewers you have tucked away. Skewer shrimp/chorizo/shrimp/chorizo (make the kids do this – kids love putting things on skewers). Since shrimp and chorizo are flavorful to begin with (and you’re tired because you just got home), you can grill those and leave it at that. 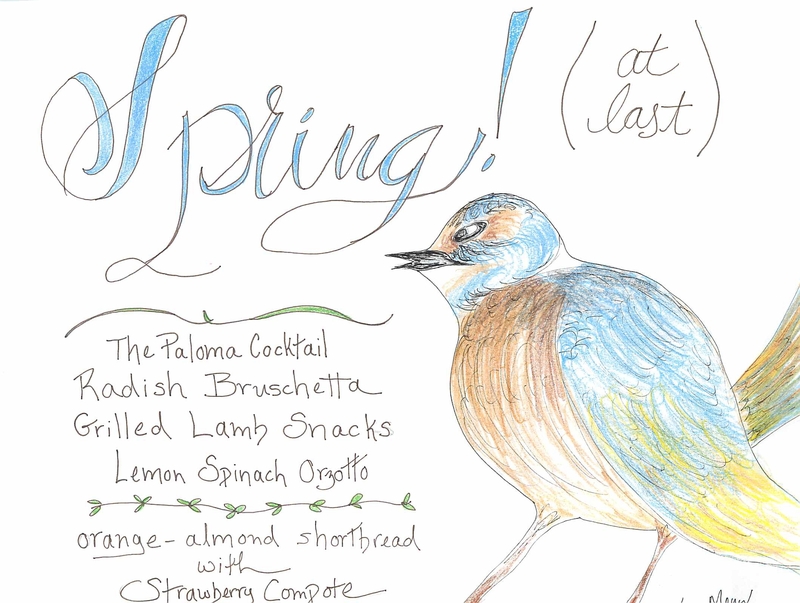 If you want to do more, I’ve added a slightly fancier recipe below. Last, actual vegetables. Everyone likes grilled vegetables and since we are leaning Spanish we are spiffing these up with just the littlest bit of cooking (I know, you’re tired). The grilled vegetables are topped with a super simple garlicky mix of breadcrumbs. Everything is better with breadcrumbs. And last, you want dessert. Spanish Rice Pudding. I did include a recipe below if you actually want to cook but I have a great cheat for you. Buy the rice pudding (Kozy Shack is the BEST), and then add just a little cinnamon and vanilla. It’s basically the same and easier. See! Now you’re unpacked. You enjoyed a really simple menu that felt like vacation but had all the benefits of arriving back home. Life, and home, is sweet.